Smog-covered cities are a scene all too familiar to the world’s second most populous country. In fact, 11 of the 12 most polluted cities in the world are located in India, and now the country’s Bicycle Mayors are on a mission to fight air pollution through accelerating cycling change. Lily Gelai from our team in Amsterdam explores this and the other ways the Bicycle Mayors in India are showcasing the collaborative power of the network. There are currently seven Bicycle Mayors in India, with another dozen waiting in the wings and at least 50 more interested in becoming Mayors. These changemakers are represented in diverse locations, including in the largest city Mumbai (population 18 million) – each with their own unique challenges and opportunities for change – and together they are showing how accelerating cycling progress can bring social, environmental and economic progress to any city, anywhere. Collectively, the Bicycle Mayors demonstrate how an active, dynamic network can address complex issues while making tangible gains for their communities. The Indian Bicycle Mayors currently represent the largest group in one single country and are also made up of a majority of women, challenging stereotypes and role modeling progressive ways ahead with their unstoppable force. 2018 was a busy year for many of the Bicycle Mayors in india. Arshel Akter of Guwahati helped to organise 15 cycling events, including for drug abuse awareness and on World Car Free Day, as well as organising a local crowdfunding campaign. 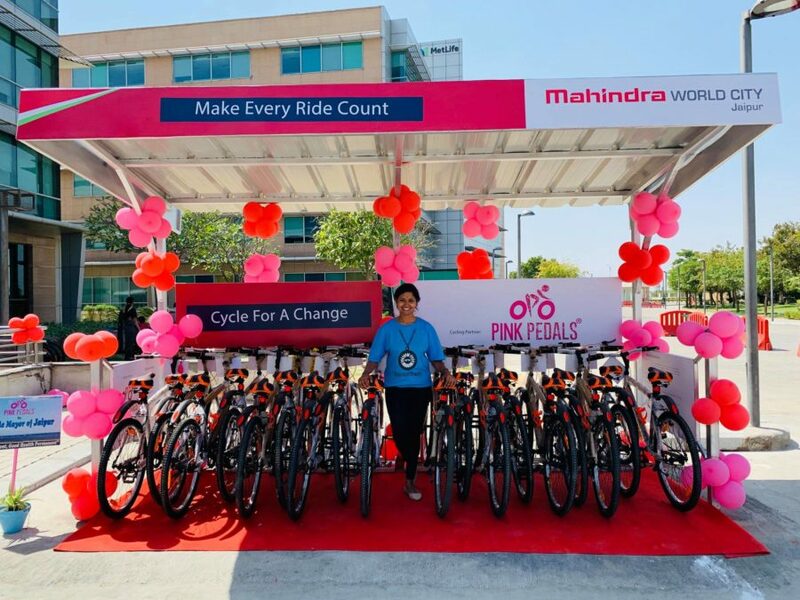 And in Valsad, Bhairavi Joshi organised a series of events to help students and commuters on to their bikes, including publishing a book about the work of the Bicycle Mayors, to inspire change. 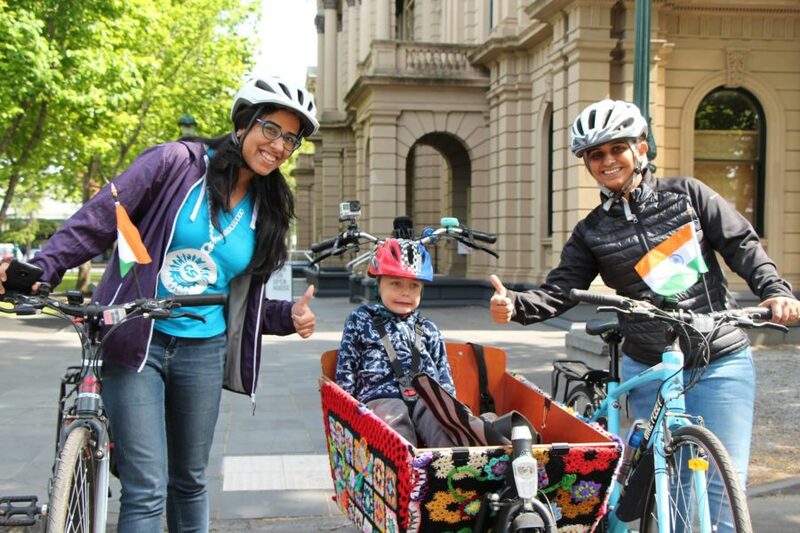 Bhairavi was also a keynote speaker at India’s premier cycling conference in Mumbai and, together with Baroda Bicycle Mayor Nikita Lalwani, was a keynote speaker at Australia’s most prestigious cycling and walking conference. The Bicycle Mayors of India also had success with a new app to log new cycling commitments in 2018, with over 300,000 km logged in the pilot phase. 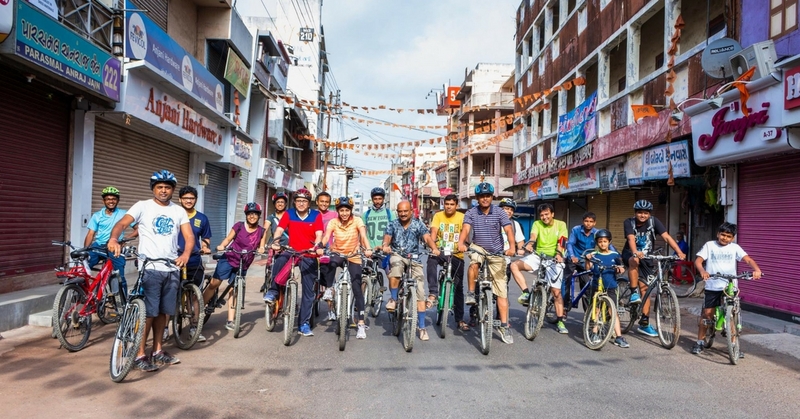 Due to these successes and given the excitement of the potential as it gathers momentum through the subcontinent, the work of the Bicycle Mayors is being covered extensively and regularly in national newspapers, including the Times of India (2.8 million readers) and The Hindu (1.4 million readers). In 2019, BBC World is also planning to film a documentary, featuring the Bicycle Mayors in India and they have even had an invitation to meet with the Prime Minister of India. In light of this success, Ricky Kej, the UN Earth Day Ambassador in India, has offered his help to grow the program in line with the development of 80 new Smart Cities that are being built in India. In 2019, we at BYCS will further collaborate with our partners at the Global Call for Climate Action (GCCA), to strengthen the impact of the program in India by connecting it to their anti-air pollution campaign ‘unmask my city’ and aligning this collaboration with the World Health Organization’s ‘Breathe Life’ campaign. The collective impact of the Indian Bicycle Mayors is a powerful example of the potential that can exist within a collected network of passionate leaders. As the international network continues to grow, these changemakers are paving the way for how cities tackle urban challenges and climate breakdown head on. It’s clear that India is a powerful force in forging a path towards a better future, and we are excited to see how they build on their work in the year ahead. For more information on the non-profit Bicycle Mayor program, how to get one in your city or how to support their work head here.